The British government has narrowly defeated a bid to give lawmakers more power over how the U.K. leaves the European Union — but only after offering concessions to a rebellious House of Commons. By 324 to 298, the House of Commons rejected giving legislators power to send the government back to the negotiating table with Brussels if they don't like the terms of the Brexit deal struck with the EU. To avoid defeat, the government promised to make its own changes to the bill to strengthen Parliament's powers. The vote was one of the most important in two days of votes that began Tuesday on the government's EU Withdrawal Bill. The government is seeking to overturn changes made by the House of Lords that soften the terms of the U.K.'s departure from the bloc. 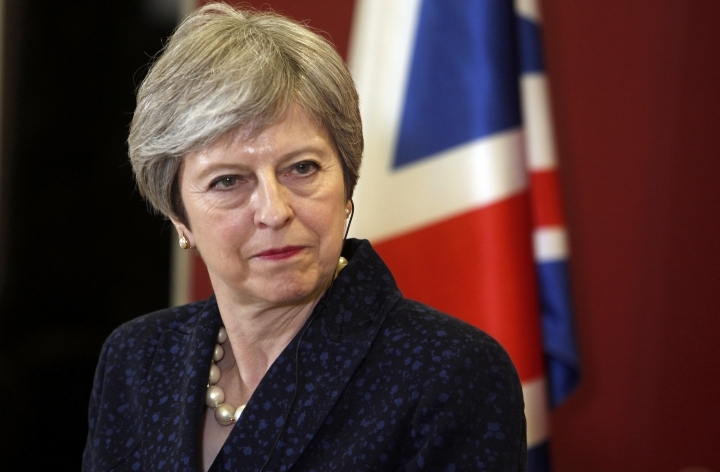 A member of Theresa May's government has resigned ahead of a key Parliamentary debate on legislation regarding Britain's departure from the European Union. Conservative lawmaker Phillip Lee resigned as a justice minister Tuesday so he could speak out against the policy on Brexit. May's fragile government will be trying to defeat a rebellion by pro-EU lawmakers and reverse changes to its key piece of Brexit legislation as the matter comes before the House of Commons. The government is resisting the changes, which are aimed at softening the terms of the U.K.'s exit from the European Union. The government fears a weakened negotiating position. Lee says that within government he "found it virtually impossible to help bring sufficient change to the course on which we are bound."